The Eurack Avenue of Honour is a World War I memorial on Eurack Road commemorating the 26 soldiers from the district who enlisted for the war. The planting of the Avenue commenced as an Arbour Day project for the Eurack School in May 1916 on the initiative of Lieutenant George Pentreath, then head teacher of the school who enlisted in July 1916. 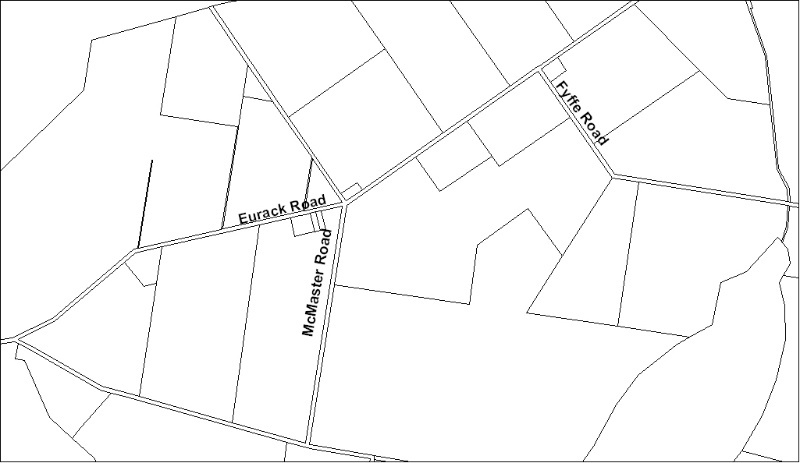 The Avenue was established on the roadside in front of the Eurack School, general store, post office and the church, the centre of the small settlement that sprang up after the Eurack Estate was subdivided for closer settlement in 1891. 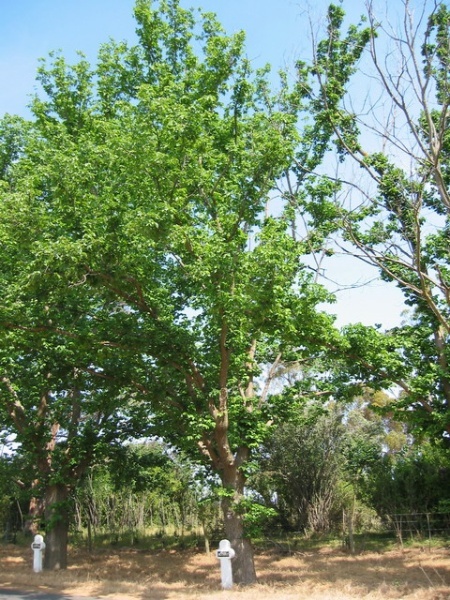 The memorial is a single row of 20 Ulmus x hollandica (Dutch Elm) planted along the south side of Eurack Road. Each tree is marked with a stylised white painted concrete cross bearing the name of the soldier/s it commemorates inscribed on a black marble plate. 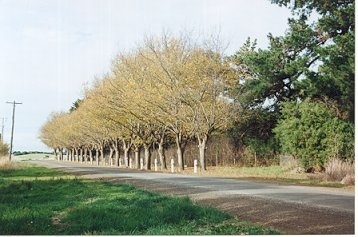 Six of the trees are dedicated to brothers. One of the crosses commemorates Lord Kitchener, the British Secretary of State for War who was killed in 1916 when HMS Hampshire struck a mine en route to Russia. The Eurack Avenue of Honour is of historical, aesthetic and social significance to the State of Victoria. 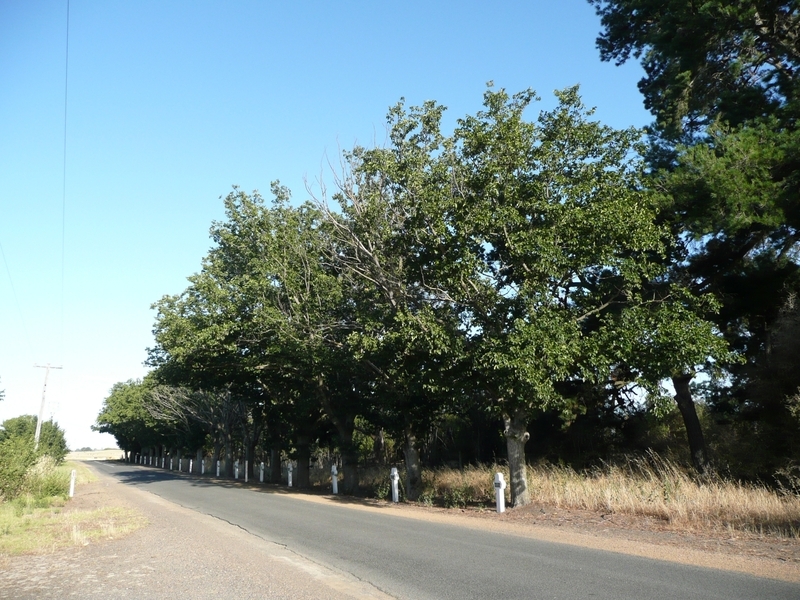 The Eurack Avenue of Honour is historically significant as the earliest known of this form of war memorial in Victoria, followed by memorial plantings in Maldon, August 1916 and Ballarat, 1917. It is also significant for exemplifying rural Victoria's reaction to World War I. It is representative of plantings that first appeared in Australia during World War I commemorating all those who enlisted for service in an egalitarian form where each individual, regardless of rank, was equally recognised for their service. 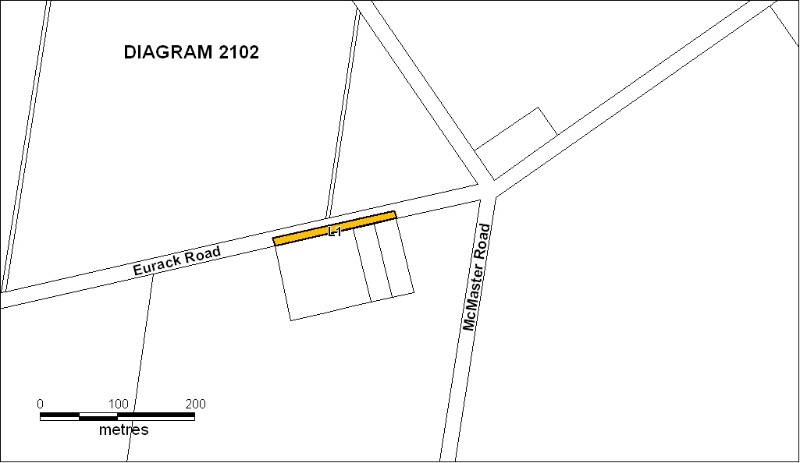 The Avenue has significance for its commemoration of Lord Kitchener and has no known comparison in Victoria. The Eurack Avenue of Honour is of aesthetic significance as an intact and distinctive commemorative planting. The uniform plantings of the trees and the stark concrete crosses in their isolated surroundings combine to create an imposing cultural landscape. The Eurack Avenue of Honour is of social significance for its relationship with the community as a memorial to those who served in World War I and for its continuing commemorative importance. 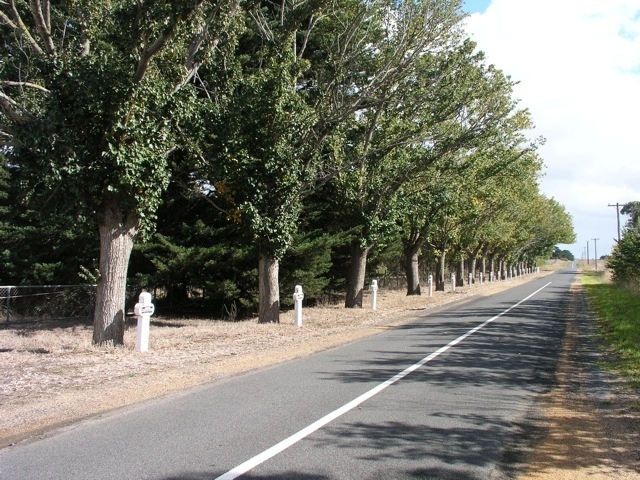 The Eurack Avenue of Honour and dedication plaques remain as an indication of the involvement of Victoria's small communities in commemorating the sacrifices of their volunteers, along with the loss and sorrow experienced by small rural areas like Eurack. 2. All of the trees and all of the concrete crosses within the land marked L1 on Diagram 2102 held by the Executive Director. State of the Historic Environment survey report - Condition Very Poor. See Events. The Eurack Avenue of Honour is a First World War memorial on Eurack Road commemorating the twenty-six soldiers from the district who enlisted for the war. 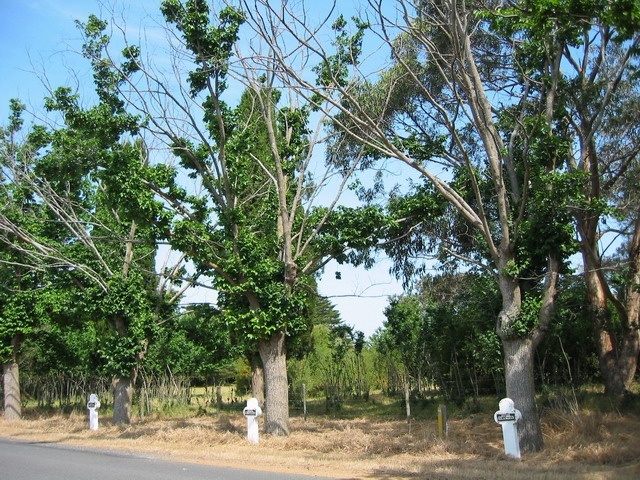 It is the earliest known avenue of honour to be planted in Victoria. The planting of the Avenue commenced as an Arbour Day project for the Eurack School in May 1916 on the initiative of Lieutenant George Pentreath, then head teacher of the school who enlisted in July 1916. 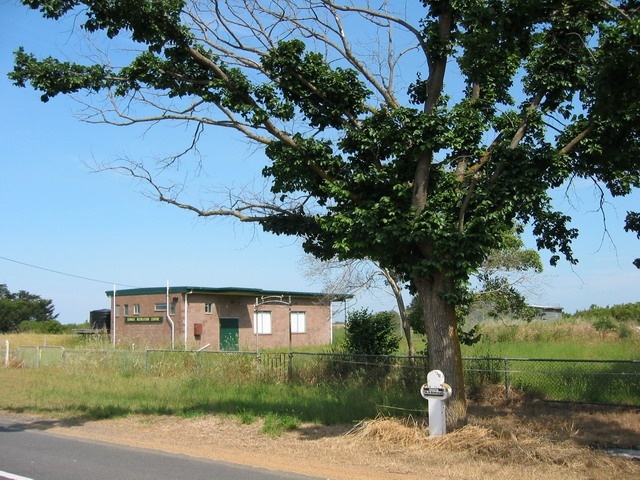 The Avenue was established on the roadside in front of the Eurack School, general store, post office and the church, the centre of the small settlement that sprang up after the Eurack Estate was subdivided for closer settlement in 1891. 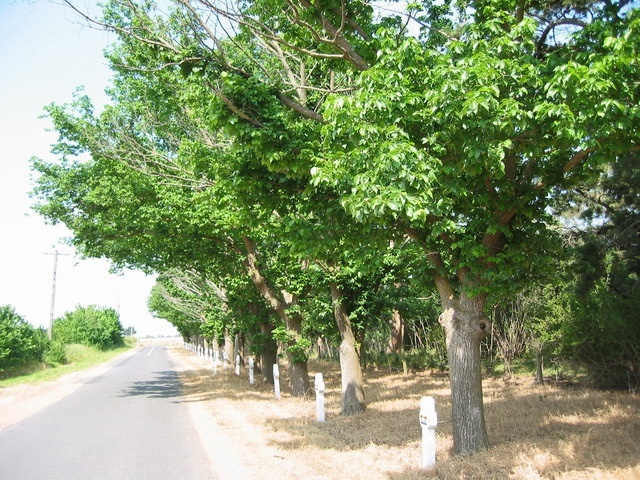 The memorial is a single row of 20 Ulmus x hollandica (Dutch Elm) planted along the south side of Eurack Road. Each tree is marked with a stylised white painted concrete cross bearing the name of the soldier/s it commemorates inscribed on a black marble plate. 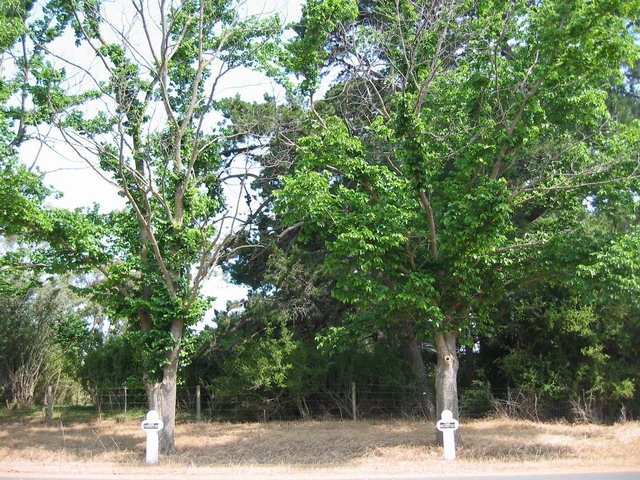 Six of the trees are dedicated to brothers. 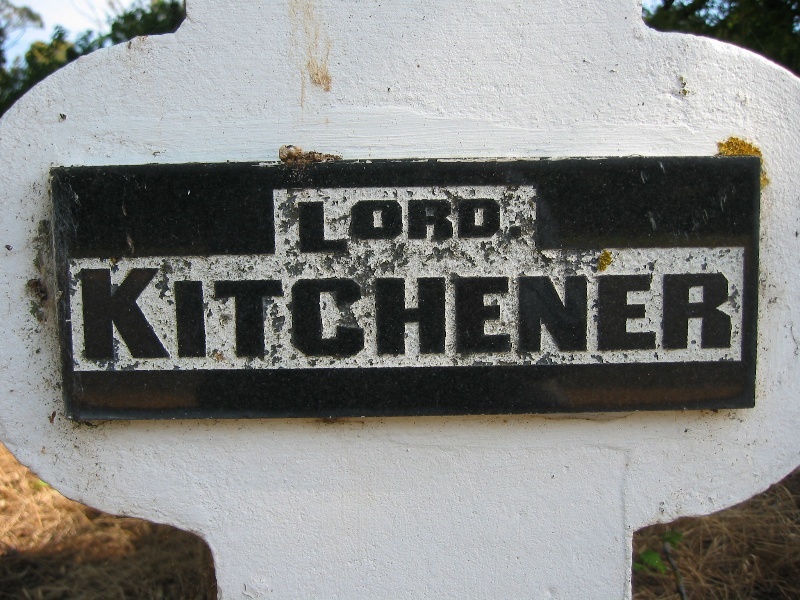 One of the crosses commemorates Lord Kitchener, the British Secretary of State for War who was killed in 1916 when HMS Hampshire struck a mine en route to Russia. 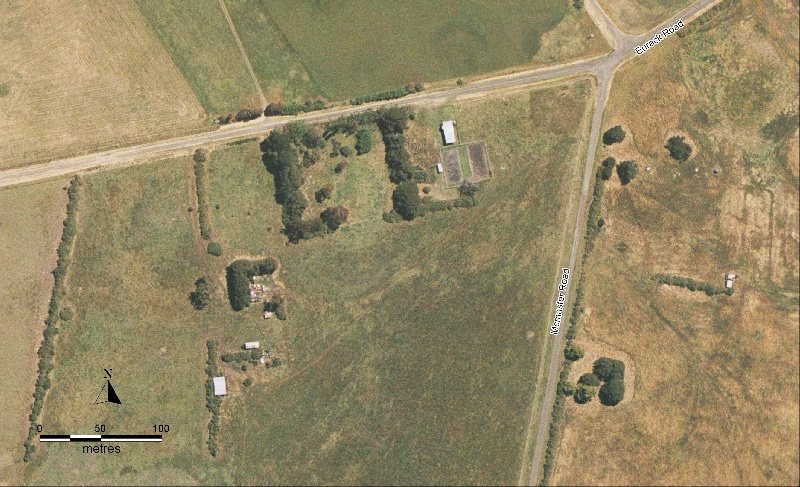 Avenues of honour are a uniquely Australian phenomenon. Australians, and in particular Victorians, embraced the idea of planting them more enthusiastically than any other country in the world. 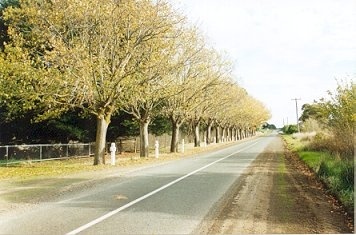 The earliest avenue of honour in Victoria was planted in at Eurack in May 1916. 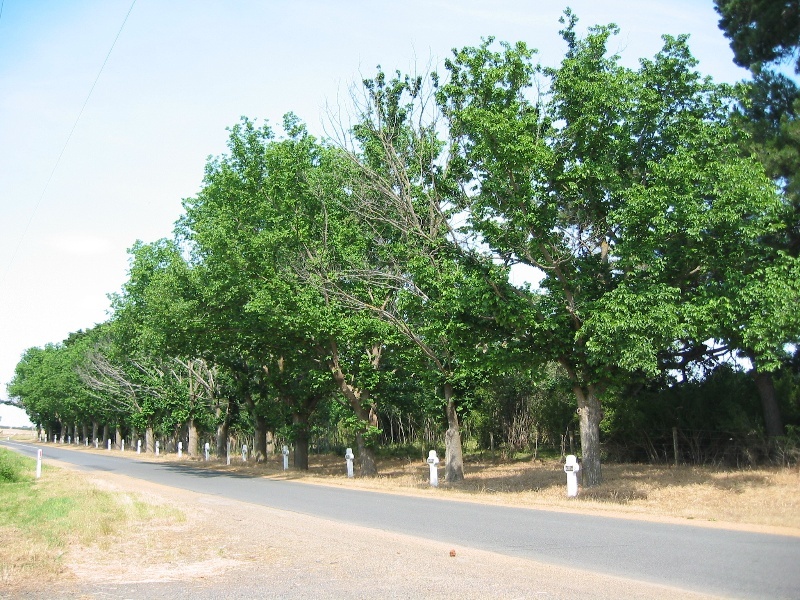 The cultural heritage significance of the Eurack Avenue of Honour is primarily as an intact commemorative planting which symbolises the response of a rural community to World War I. The significance of the Eurack Avenue of Honour lies in the uniform planting of the trees and the associated concrete crosses.